Wow, who hasn't wanted to do this before? But this dude really went and did it! 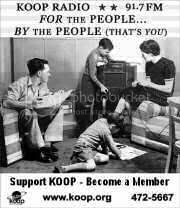 24-year-old Paul Webster Feinstein was an intern at 91.7 FM KOOP, a small station out of Austin, Texas. Police said apparently Paul set the station ablaze because he was upset that his song selections for an overnight Internet broadcast were changed. Hahahahahahhaa! Paul Webster Feinstein (if thats not a name begging to be changed to a radio name I dunno what is) has been charged with second-degree felony arson for the 5 January fire that caused $300,000 damage to the 91.7 FM studios. If convicted The Webman faces from 2 to 20 years in prison and a $10,000 fine. Feel N. Fein told investigators that he was "very unhappy" about the changes to his playlist. The songs were intended for a broadcast that occurs when the station is off the air, with probably 3 to 4 people listening, including Paul and one dude passed out in a dorm somewhere. "He had a dream of a career in radio and was very disappointed about where it had led him," said Austin Fire Department Battalion Chief Greg Nye. I guess Nye is a psychologist, too. Yeah, well Paul what can I tell ya. I'm sure you had big dreams. Radio isn't the place for big dreams. 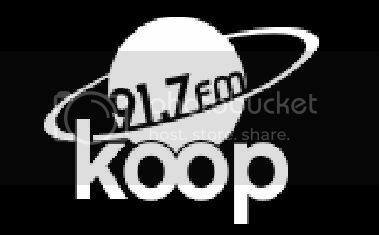 91.7 FM KOOP GM Andrew Dickens said Paul Fine had been in a dispute with another intern about what kind of music should be put into a digital library for the Internet program. Feinstein was a jazz & blues fan and his Internet program was called "Mellow Down Easy," Dickens said. HAHAHAHAHHA! Sounds like a real mellow dude, burning down a radio station! "We knew there was a disagreement, but I would characterise it as a little clash of personalities over types of music to be played and not a big blowout," Dickens said. Feinstein, who had interned at the station for about a year, quit a week before the fire, saying he was going to do other things. "He seemed like somebody who was young, enthusiastic, had a life, was a professional and was educated," Dickens said. Austin Fire Department Battalion Chief Greg Nye said Feel N. Fein acknowledged making a copy of the station key and then waiting for the station to clear out on the night of Jan. 5. Feinstein then poured gasoline on the board in two studios to start the fire. Wow. The fire department's trained dog smelled gasoline at the scene, tipping investigators to the arson. The fire knocked the station off the air for over two weeks. It resumed broadcasting last week in donated space. "We are kind of worried that people will look at us like a bunch of idiots," Dickens said. "This is really just one of those out-of-the-blue situations. Who the hell would have thought somebody would have snapped?" Hahaha! I guess my man has never worked in New York radio. Then again, in NY radio Paul Webster Feinstein would've been applauded for his wacky morning zoo antics and promoted to overnights. I checked the KOOP site and they've still got Paul's show up there in the schedule grid with past playlists to boot. Check it out. They're smokin!